Shopping for someone else but not sure what to give them? 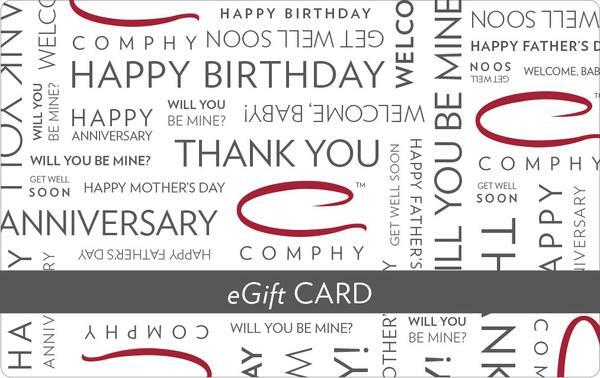 Give them the gift of choice with a Comphy gift card. Our gift cards have no additional processing fees and can only be redeemed on Comphy.com.